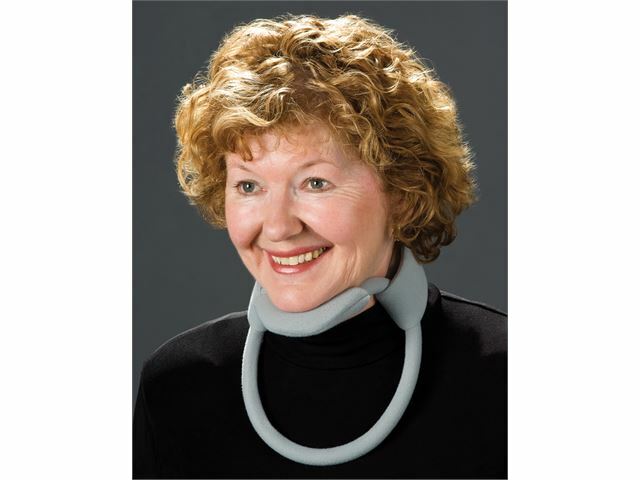 Attractive, cool, and comfortable cervical spine support. 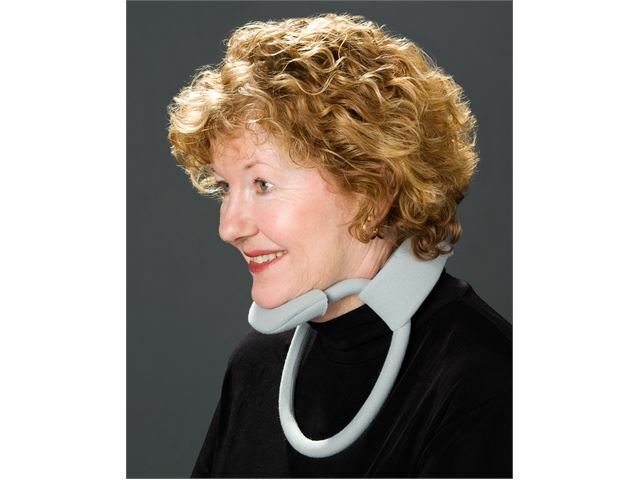 Originally designed for people suffering from arthritis, but has been found to be appropriate and of great benefit to people suffering from many other disabilities including: progressive neurological conditions, such as motor neurone disease; congenital conditions such as cerebral palsy; whiplash; head and spinal cord injury; burns. 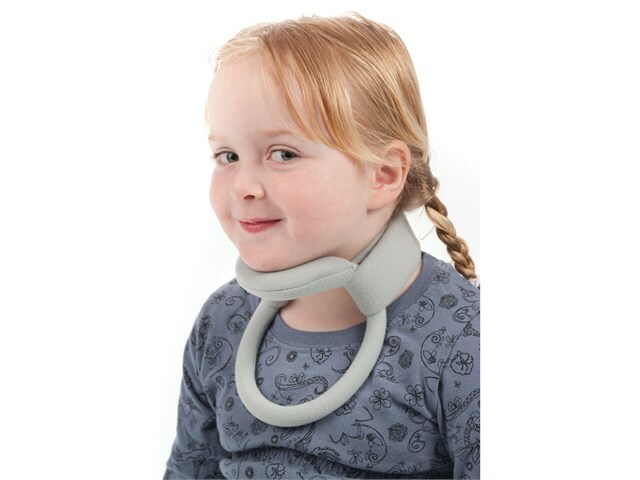 Benefits include: coolness; attractive appearance; quick and easy fitting; comfort for daily use; access to a tracheal tube. Constructed from surgical rubber tubing, around a malleable core. The tubing is covered with a brushed nylon material that allows the Velcro attachments to adhere anywhere. Supplied pre-assembled and ready to use. Just bend it to the desired fit by hand. This low profile collar is easily formed to a snug fit under the chin and is attached with a comfortable strap. Optional extension pads are also available, that can be attached to the inside of the neck strap. These pads are positioned centrally or on either side of the back of the head and are bent to a comfortable fit. To order the correct size, select the closest size collar using the length of a straight line under the jaw from the front of the chin to the angle of the jaw. Select the closest size Collar (from the list below). Choose the smaller Collar if in any doubt as to size. Fitting Instructions are enclosed with the collar. large size, 127mm (5 inch). medium size, 114mm (4.5 inch). small size, 102mm (4 inch). junior size, 89mm (3.5 inch). child size, 76mm (3 inch). infant size, 70mm (2.7 inch). Extension Pads, Neck Pads, spare Chin Pads and Spare Neck straps available. Anterior Support is also available. Important: must be fitted by a qualified professional. Caution: contains Natural Rubber (latex) which may cause allergic reaction. Latex free version available – please contact us for information. Please note this product cannot be returned.